Tell us about yourself by completing the enrolment form below. All course material, including presentations, handouts, assignment briefs and e-books will be made available to enrolled learners. In addition to this, the learners also get the course handbook and tutorial via the online forum and emails to support the delivery of the programme. The courses are delivered via the UK Versity’s Learner Management System (LMS) and the access is provided on enrolment and payment of fees. The assignments submission is done via email to [email protected] or on the LMS. 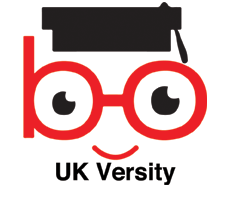 UK Versity offers a 3-6 easy instalment plan for all its courses. Students’ particulars are solely for the purposes of submission for the course admission.